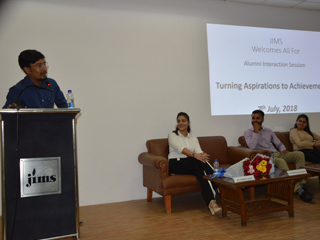 JIMS organized an event on 7th July 2018 in which four Alumni Yuvraj Singh Shekhawat PGDM (2011-13) Talent Development, Walmart India, Anurag Srivastava PGDM(2014-16)CEO, MadoverPrint Pvt Ltd and Tanmeet Ahuja PGDM(2014-16)Marketing Manager, Reliance JIO Media, Charu Bagai PGDM (2015-17)Research Associate, Protiviti, were invited for an interactive session.The objective of this session was to give an insight of the corporate world and get learnings from their experience. 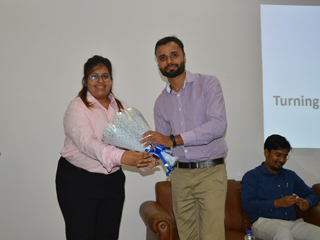 The session was meant to sensitise future leaders to the world of happenings and possibilities. The session was well appreciated by all. 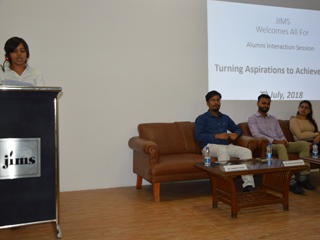 Mr. Shekhawat spoke about the important decisions that one has to make in life; it could be career-related or personal. He also spoke about entrepreneurship and the need to take charge of one’s life. 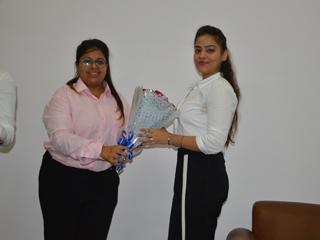 Ms. Ahuja spoke about hard work and how being indecisive is completely okay till the time one works towards knowing his goal or finding a direction. 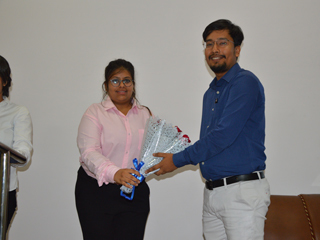 Mr. Srivastava spoke about time management and his entrepreneurial journey in campus days and his startup Madover Prints. He talked about facing rejections and the acumen to accept it. It’s never too late to start on something and at the same time one should not wait for opportunities rather grab them. 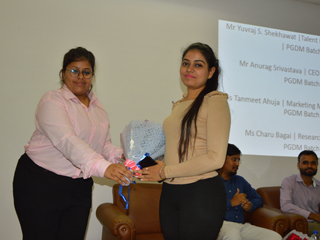 Ms Charu shared her experience while in JIMS and emphasized on enjoying the entire stay with focus on all round development of personality. The session was interesting and gave lot of insights and lessons to learn from.